Eclipse 2017 at 89.3% totality in Mount Shasta. The eclipse event occurred today and it was a pretty fascinating. My family did not make the journey up to the path of totality but we did want to observe it nonetheless. Our kids were excited, though I don’t think they really knew quite what they were excited about. My awesome wife made several preparations, including the construction of three shadow casters. She also pulled out some colanders to use as well. I went to my neighbor, who is a blacksmith, and borrowed a welding helmet and we also used some lens from other helmets to construct a viewing device. 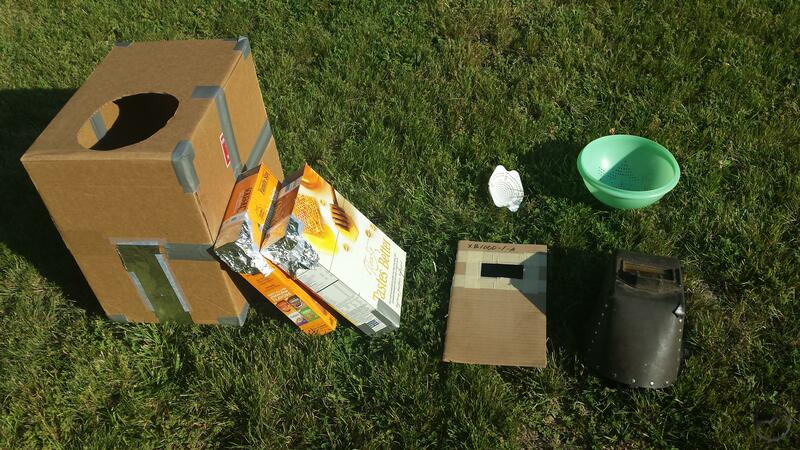 It was quite the arsenal of eclipse-viewing equipment. I had originally hoped to photograph Mount Shasta in the unusual light cast by the eclipse, but it was smoky and I ended up jettisoning that idea. However, it was not so smoky that we would not be able to see the event itself. I took the kids over to Mount Shasta Animal Hospital, where my wife is one of the veterinarians. We were joined by my parents and their four friends who just happened to be in Mount Shasta this weekend for a long-planned gathering. Along with the animal hospital staff, we had quite a viewing party. As the moon traveled between the earth and the sun, I tried taking some pictures of the eclipse through the viewing device. It didn’t work out really well, but I was able to capture the it in some fashion. 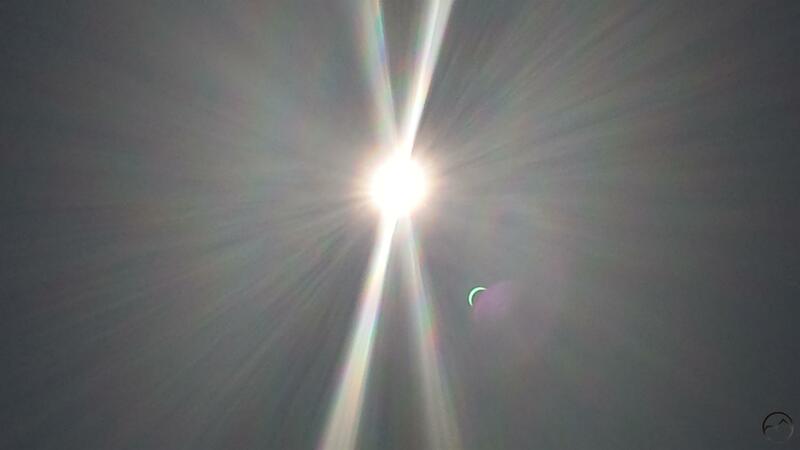 The welding lens gave it a greenish appearance. See the eclipse in the reflection? Mount Shasta was calculated to have 89.3% of the sun eclipsed. Though it never grew dark, the light dimmed considerably and the darkness-activated lights in the parking area even came on. The presence of the smoke added to the eerie feeling that was palpable to everyone. The welding mask, viewing device and shadow casters were all employed to happy effect. One unforeseen expression of the eclipse was the shadows cast on objects like cars. Dozens of small eclipse shadows added unexpected beauty. This prompted us to use the colanders to cast our own. I made several attempts to capture the eclipse. Ultimately I discovered that, while I could not get the actual eclipse itself, I could capture the sun, which emitted an unusual corona but was also joined by a mirror image reflection of the sun and moon. It produced a rather striking image, one which I was not anticipating. All-in-all, it was a really neat event, one that was interesting and edifying to everyone who experienced it with us! It would have been nice to see the totality or photograph Mount Shasta in the unusual light but under the circumstances, it was a memorable event just as it was! After all, there is always Eclipse 2045. Mount Shasta will be in the path of totality for that one. I bet it will be nuts here! 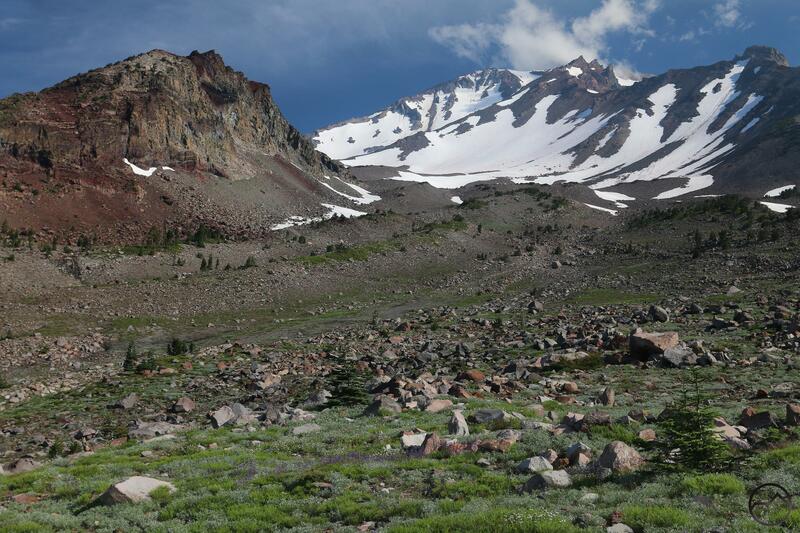 Of all the Cascade volcanoes, Mount Shasta is perhaps the most visually distinctive, due in large part to the presence of the massive secondary peak of Shastina. None of the other major Cascade peaks have such a monumental feature that fundamentally alters the entire appearance of the mountain. Those of us who look at Mount Shasta, whether in images or in reality on a regular basis have become accustomed to seeing the great bulk of Shastina augmenting the towering cone of Shasta. And yet, it is the absence of Shastina that makes the view of Mount Shasta from the east so striking. Only from the east does the mountain reveal itself as a giant, solitary cone unencumbered by the presence of a secondary summit. From the east it is just a single, lonely and icy spike thrust skyward. So used have we become to the presence of Shastina that it is easy to mistake the eastern perspective of Mount Shasta for another Cascade volcano. 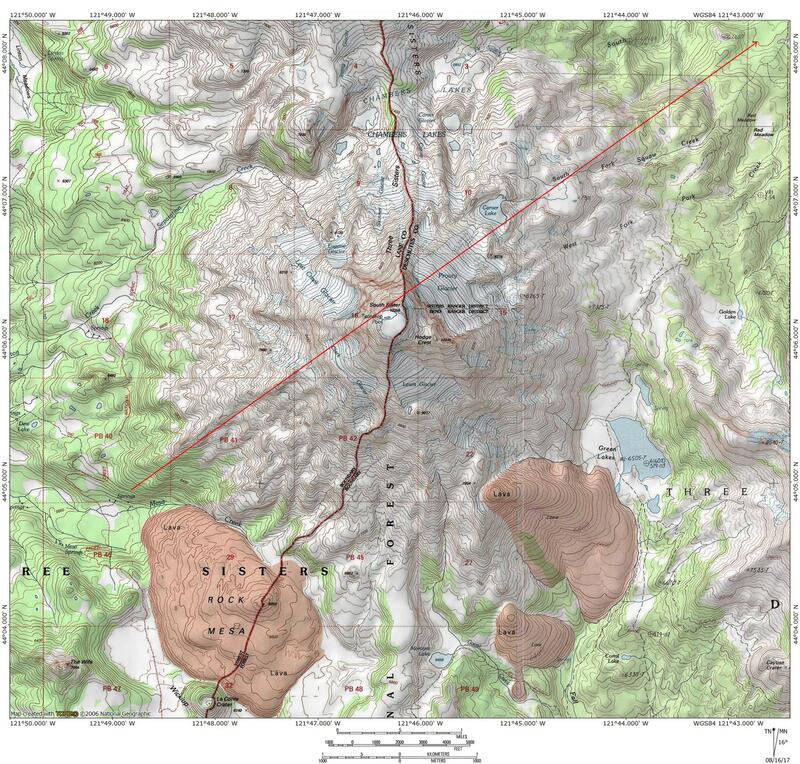 Interestingly, it is not just Shastina that is absent from Mount Shasta’s east side. This side also lacks other notably prominent points like Thumb Rock, Shastarama Point and Green Butte. It also lacks the broad flanks of the great ridges that flow from the summit on the south and west sides like Sargents and Casaval Ridges. What the east side does have is the massive and fascinating bulk of the Hotlum and Wintun Glaciers. These massive sheets of ice are the first and third largest glaciers in California. Many glacial features, including crevasses, the bergscherund and icefalls are visible to the naked eye even from great distances. The Hotlum in particular is a spectacular feature. Views of the east side are fairly rare. There a couple of good vistas from the loop road as well as from the spectacular lookout on Little Mount Hoffman. 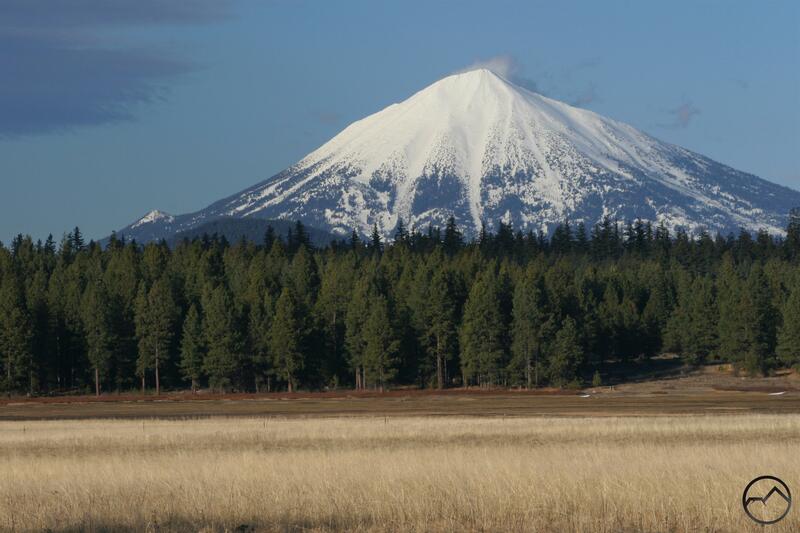 However, it is Ash Creek Butte that likely yields the best perspective on the east side of Mount Shasta. The great pyramid of the mountain utterly dominates the view from here and leaves a very different impression on the few who venture into this remote and seldom enjoyed area. View south side locator here. 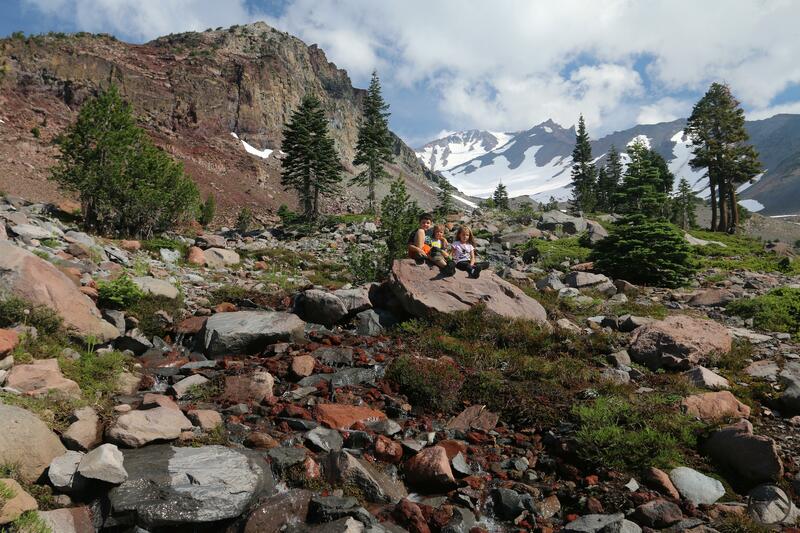 Though Mount Shasta is the largest and second highest of the great volcanoes of the Cascade Range, it’s appearance is remarkably different in some respects than many of its famous siblings to the north. To me, the most striking difference is the lack of glaciers on the west side and much of the south side of the mountain. 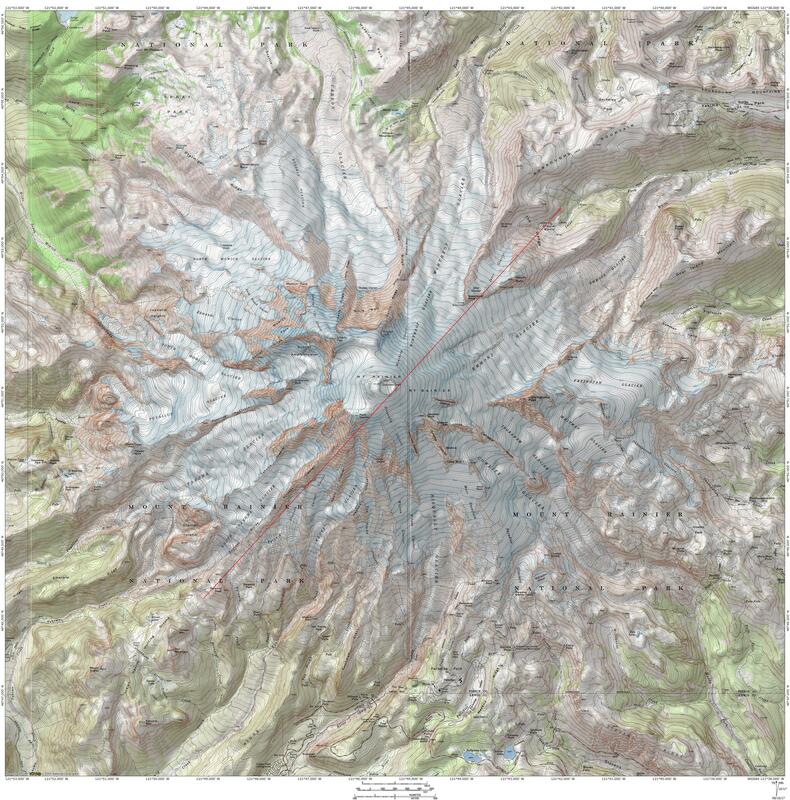 When looking at comparable peaks like Mount Rainier and Mount Hood, there are no significant swaths of the mountain that are not encased in giant sheets of permanent ice. Related to this, it seems the majority of these mountains’ bulk lies well above the tree line, giving more of their flanks an alpine appearance that is not present on much of Mount Shasta. Why this difference exists is a function of numerous factors. Above the tree line in the Sierra Nevada. The tree line is that point where mountain forests gives way to the treeless alpine tundra that lies at the highest elevations of mountain ranges. Many factors contribute to the determination of what elevation the tree line can be found. The orientation of a slope, latitude, proximity to the Pacific Ocean and numerous other elements are part of the factorial kaleidescope. In the coterminous 48 States, the elevation of the tree line varies wildly. In the southern Rockies of Colorado and New Mexico, the tree line climbs up to about 11,500 feet or higher. 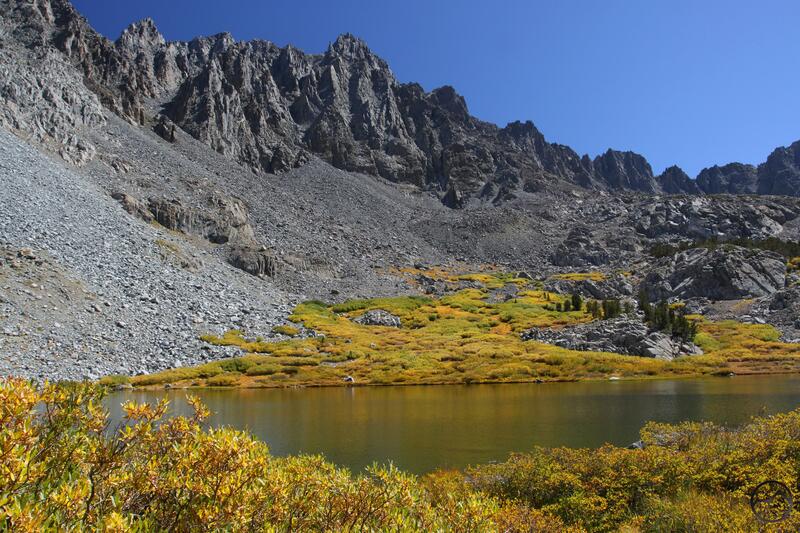 In the High Sierra tree line lies about 9,500 to 10,000 feet. Near tree line on Mount Rainier. Going north from the Sierra along the Pacific Crest, the northern latitude drops the elevation of the tree line considerably. Here in Mount Shasta at the southern end of the Cascade Range, the tree line sits at around 8,000 to 8,500 feet. 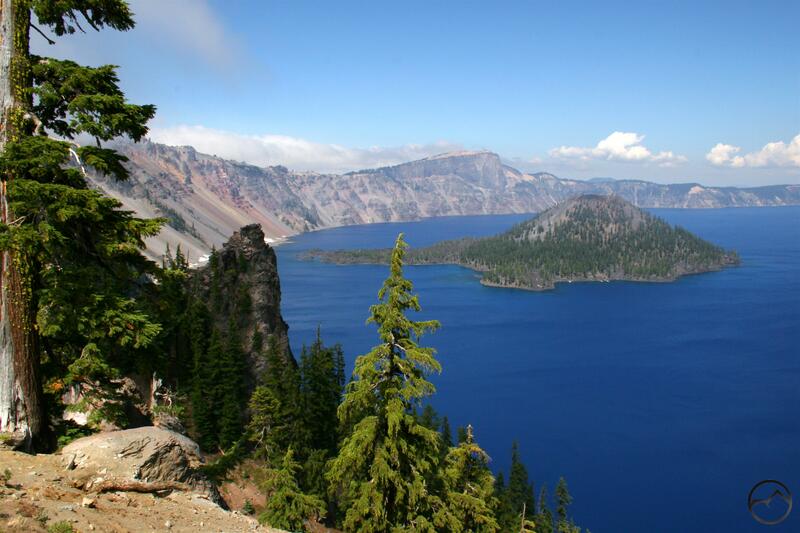 In the northern latitudes of the Cascade Range, tree line is found at about 6,000 feet. 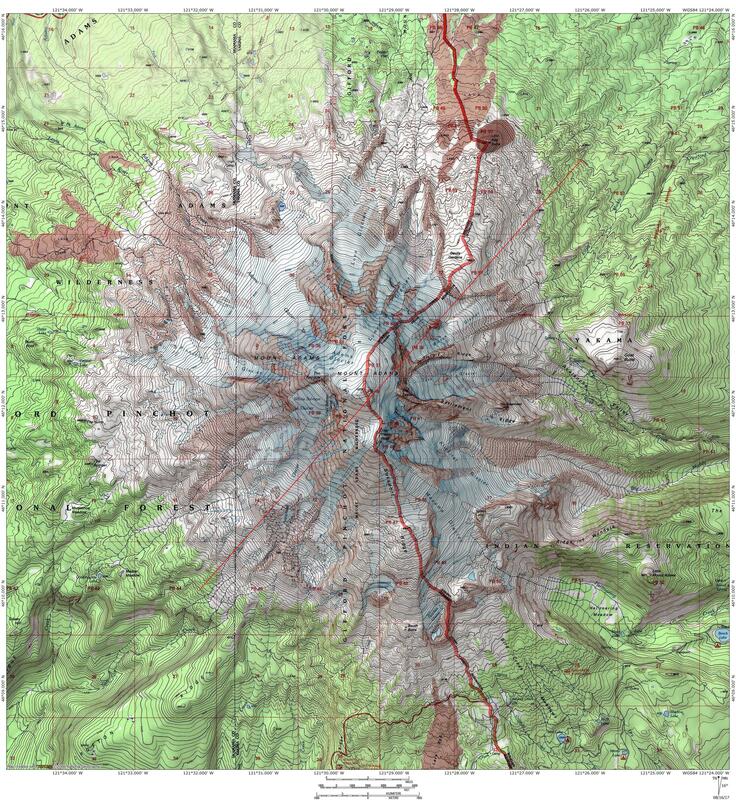 This means mountains with comparable size and elevation like Mount Shasta and Mount Rainier are going to have strikingly different appearances. 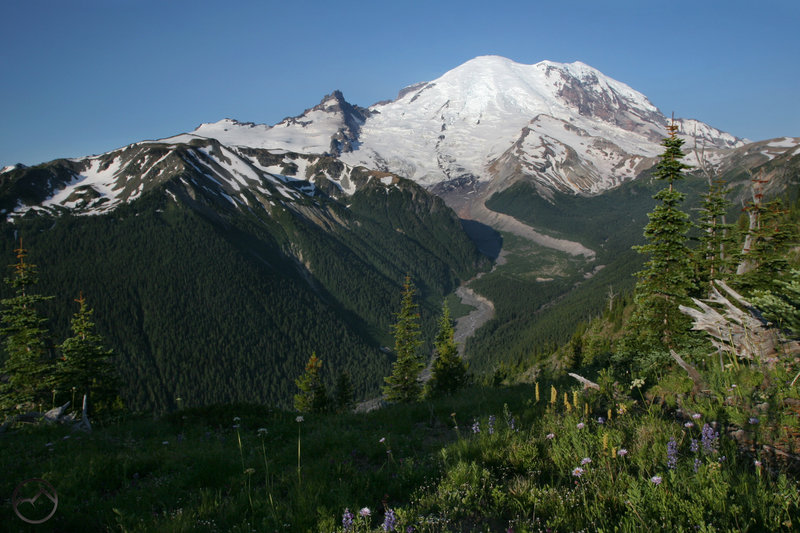 The extra 2,000 feet of alpine terrain on Rainier contributes to glaciers being larger, more abundant and creeping far, far lower down the flanks of the mountain. 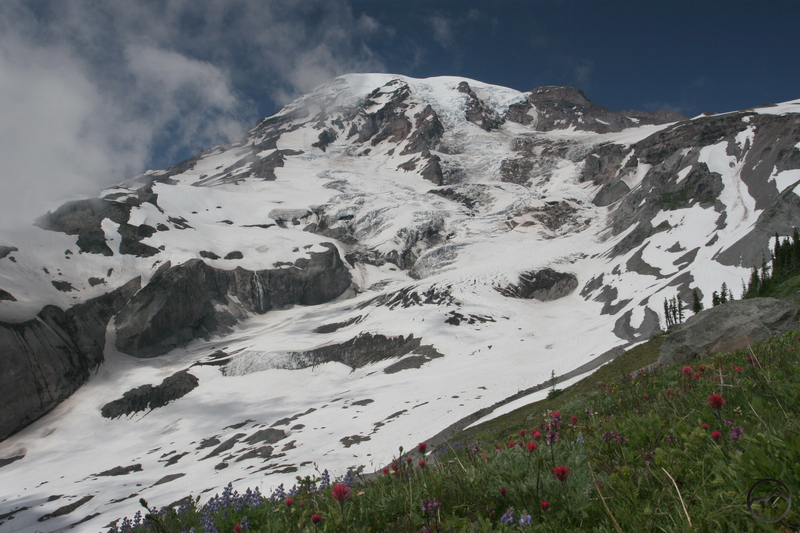 Indeed, the Carbon Glacier on Mount Rainier flows all the way down to about 3,600 feet above sea level. 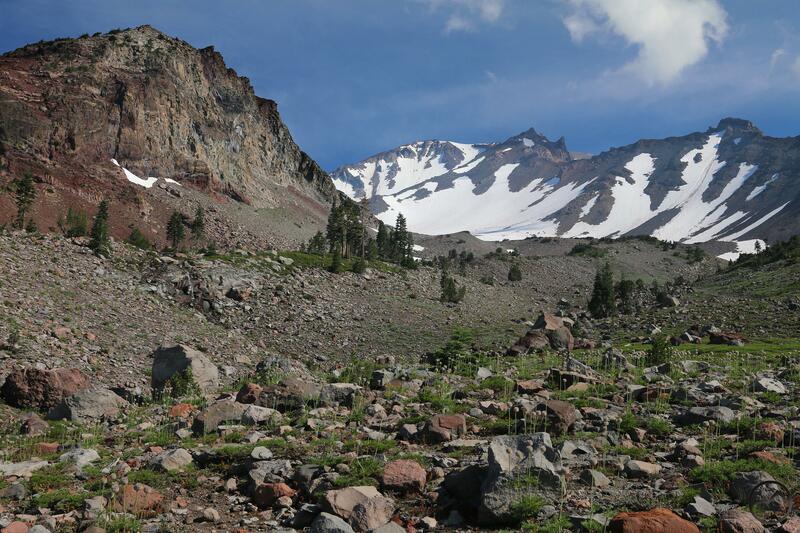 On Mount Shasta the glaciers struggle to extend below 10,000 feet. Dense forests at 6,000 feet on Mount Shasta. 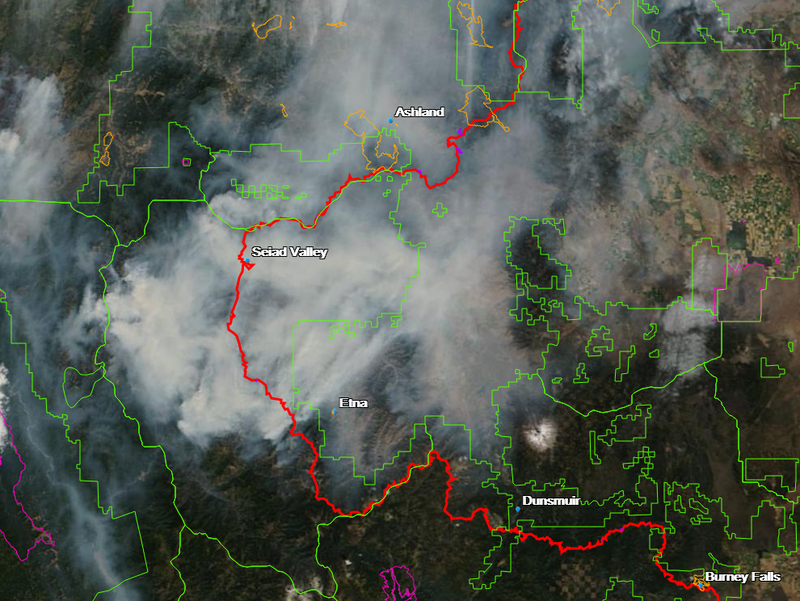 So how does all this pull together and affect our perceptions of Mount Shasta? The fact remains that it is the largest single mountain in the Lower 48. 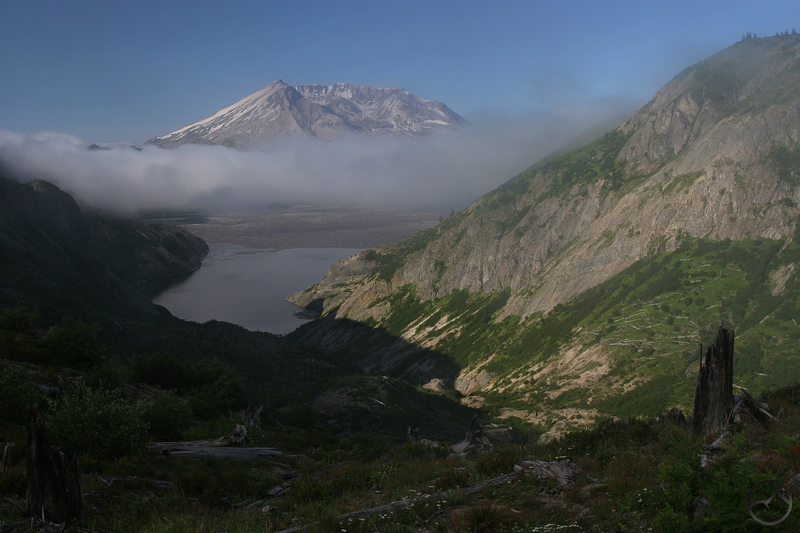 At nearly 120 cubic miles (this statistic comes from the latest findings by the US Forest Service and geographers at College of the Siskiyous) it is significantly more voluminous than any other volcano in the Cascades. Yet many give off an appearance of greater size due to their greater area above the tree line. This prompted me to pursue a little thought exercise. I considered what it would look like if the tree line on Mount Shasta was found at about 6,000 feet. 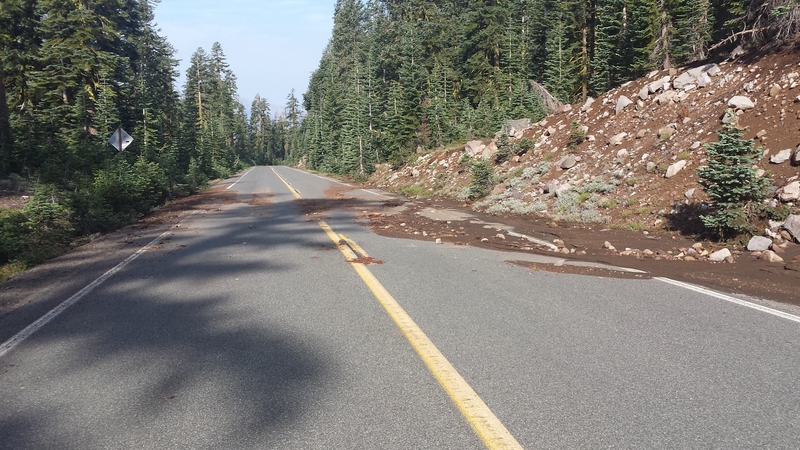 The best place where I can find a frame of reference is the point where the Everitt Memorial Highway on Mount Shasta makes its second hairpin turn, which is just below the John Everitt Vista Point. If Mount Shasta were up in Washington or northern Oregon, this would be the point where the trees would cease growing and alpine tundra would begin. It is likely that the area would be near a glacier’s terminal moraine and small patches of meadow would be clinging to the slopes, fed by abundant glacial snowmelt. 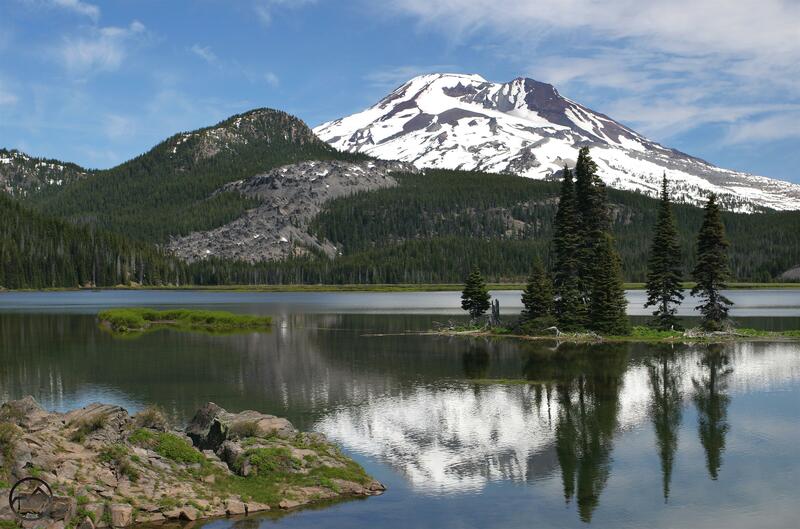 Yet this area is well beneath the tree line and Mount Shasta remains the largest of the Cascade volcanoes. In light of this, I thought it would be interesting to compare the Cascade Volcanoes and how much area they have above the tree line. Since the tree line fluctuates, I picked 6,000 feet as a point of reference since it is at or near tree line at most of the big volcanoes in the range. I decided to begin at the southwest corner of each mountain since this is the position of the Everitt Vista, which is reference point on Mount Shasta. I measured each volcano from the 6,000 foot contour in the southwest to the 6,000 foot contour in the northeast. This way there is some degree in uniformity in what is being measured. 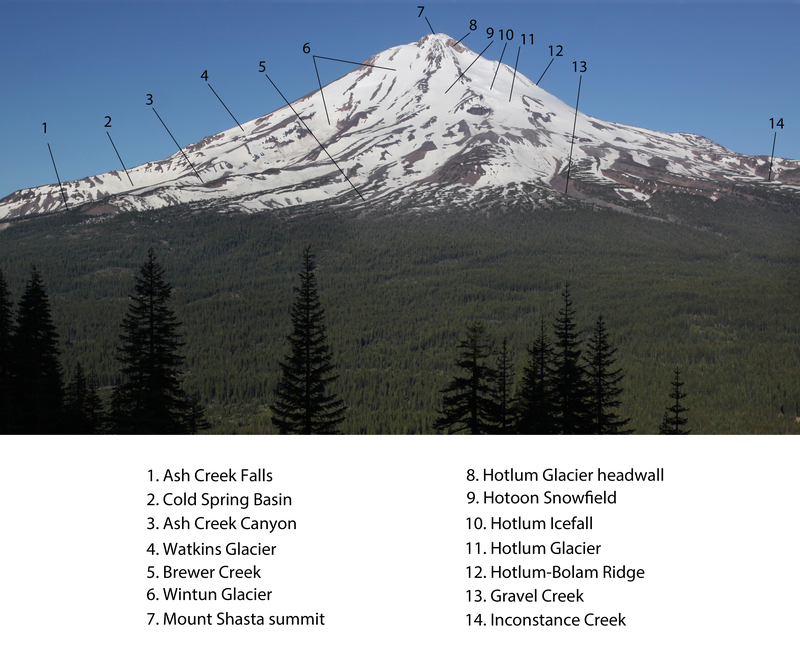 The series of measurements begins with Mount Shasta, which is the baseline for comparison, and then travels north up to Mount Rainier, which is Shasta’s only real peer in the Cascades. These findings are imprecise and purely my own, but I think they do manage to give some idea about the relative size of each volcano (and yes, I am a total geography geek!). A red line runs from southwest to northeast on each map. This is the point of measurement on each volcano. 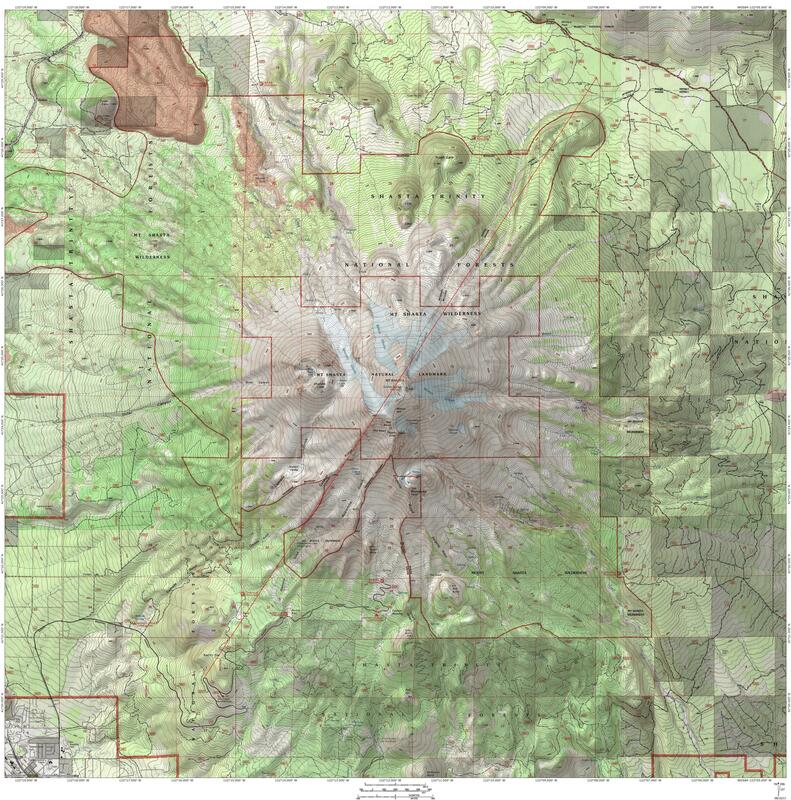 The topo maps used for this exercise contrast forested areas with areas that are not covered in forest. The wooded regions are marked green and the unwooded areas appear white. 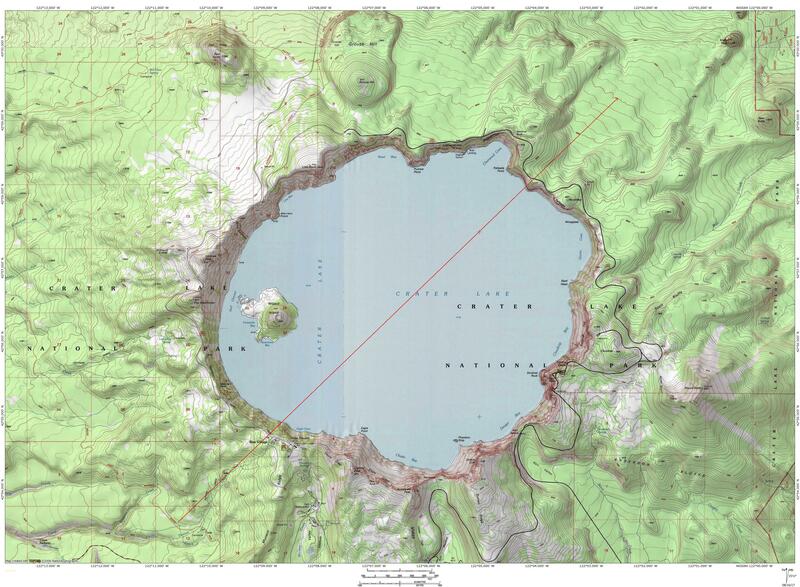 While this is not precisely aligned with the tree line, it is a useful aide for perceiving where the tree line is located and how much of each volcano lies above it. In no way is this intended to indicate Mount Shasta is a superior mountain or diminish any other mountain’s special attributes. Size is important to our perceptions but I firmly believe that each volcano, and indeed each mountain range and even flatter areas have their particular distinctives that make them worthy of our admiration and appreciation. 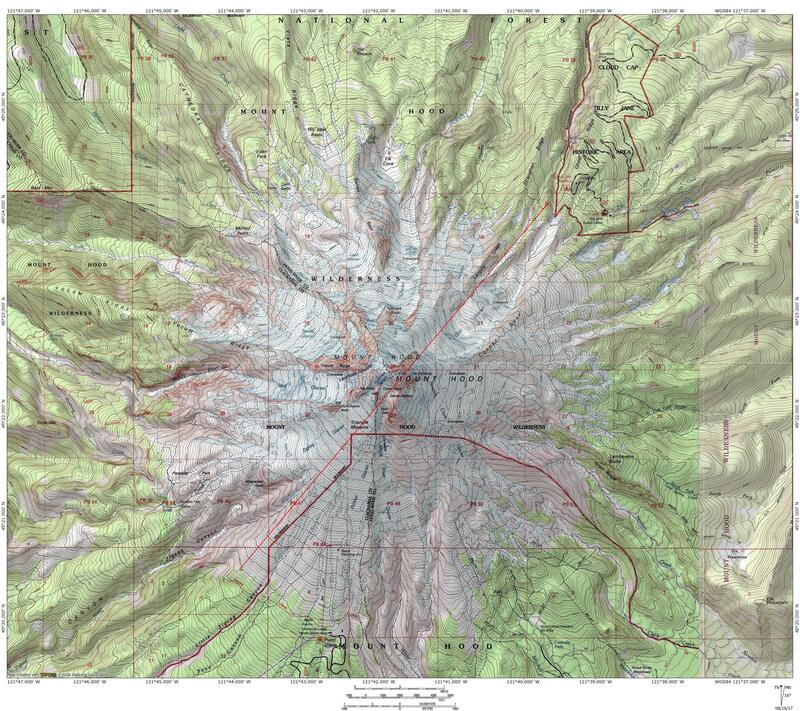 I did not include measurements on other major peaks like Mount Baker, Glacier Peak, Mount Jefferson and Diamond Peak. This is primarily because I don’t have satisfactory images of them. Nonetheless, these magnificent mountains deserve to be in this conversation as well, though none are near the size or height of Mount Shasta. 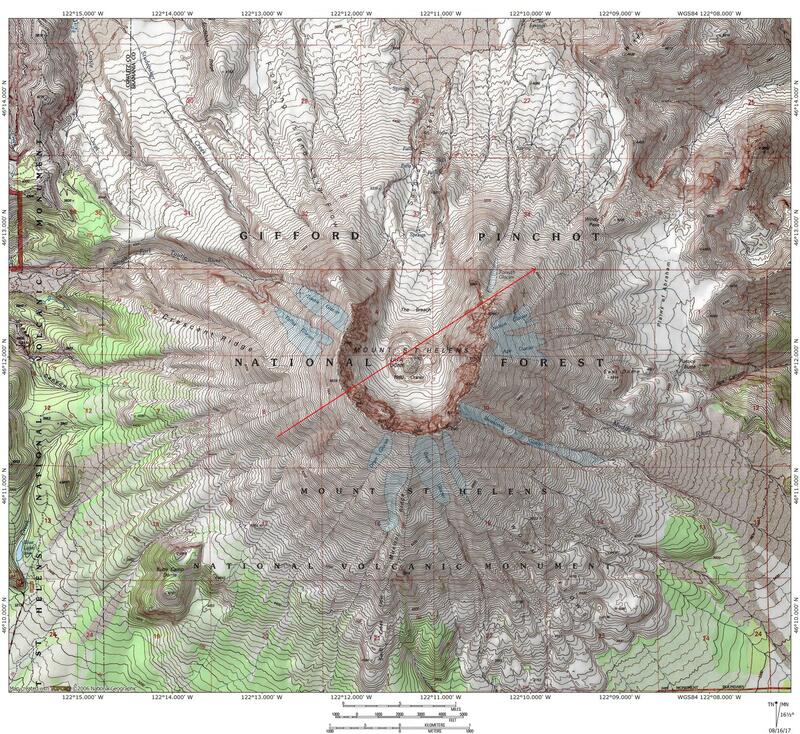 It is obvious from the measurements that Mount Shasta is a massive mountain. 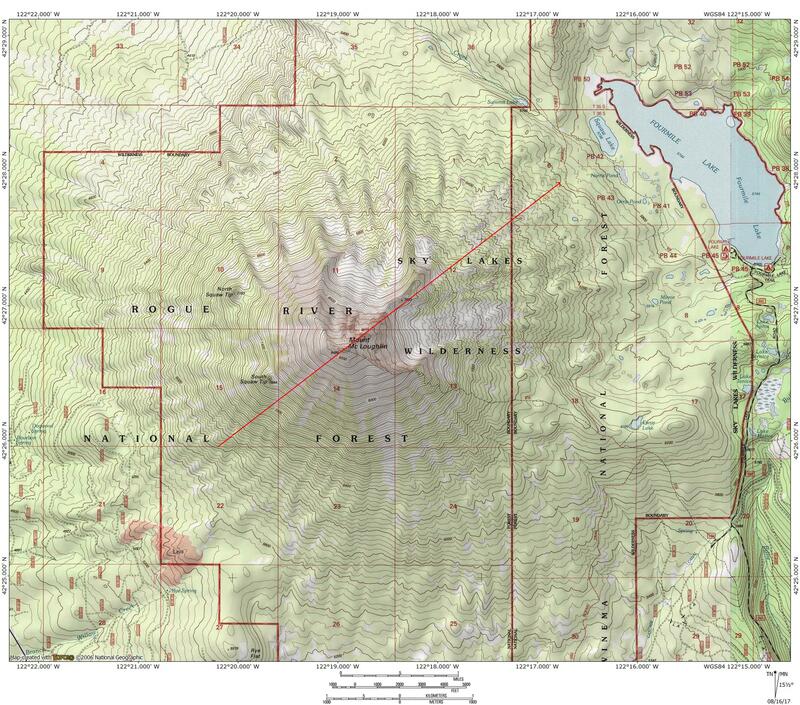 The closest peers are the former Mount Mazama and Mounts Rainier and Adams and those are 2.4, 3.7 and 5 miles narrower at the 6,000 foot contour. It should also be noted that all three of those peaks are surrounded by mountains in 4,000 to 6,000 foot range. 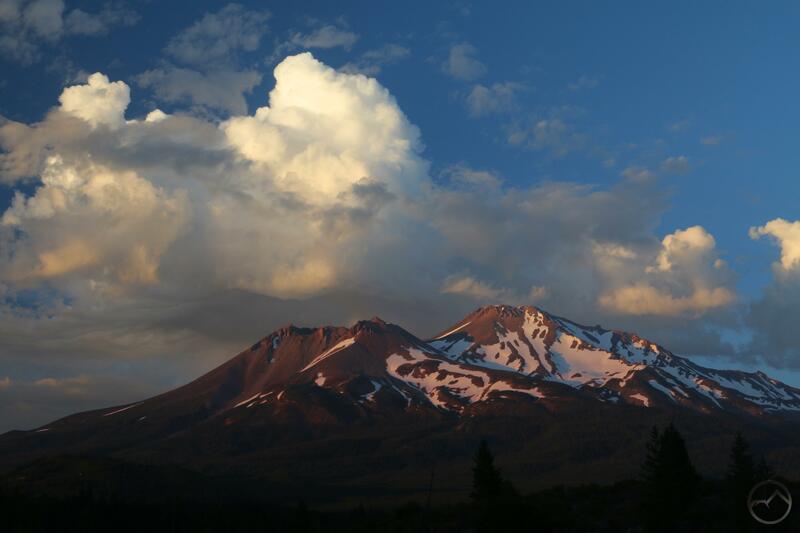 Mount Shasta, in contrast, continues to slope downward into the Shasta Valley, Strawberry Valley and the McCloud Flats, all of which are at the 3,500 foot level. The mountain has very, very broad shoulders. Near Mount Shasta’s tree line. Interestingly, a measurement of Mount Shasta’s diameter at around the treeline, estimated at around 8,000 feet shows the diameter is about 6 miles. 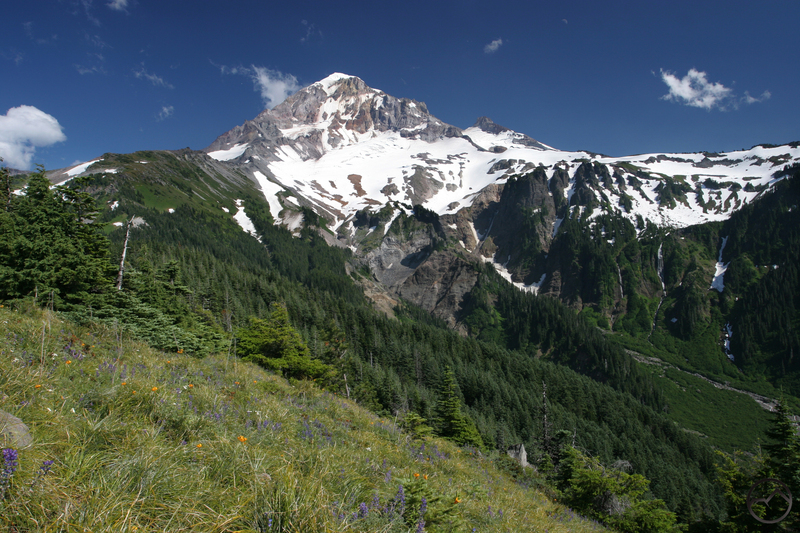 This puts the diameter of the mountain at tree line comparable to that of Mount Hood and just a little less than what is found on Mount Adams, the third tallest and third largest volcano in the Cascade Range. 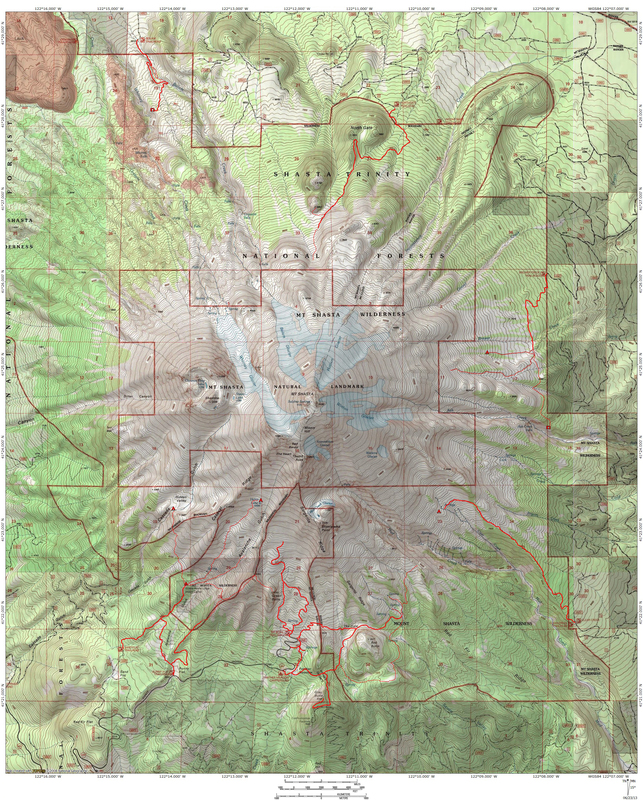 It worth noting that the measurements at the 8,000 foot contour, Mount Hood is 2.2 miles, Mount Adams is 3.4 miles and Mount Rainier is 5.5 miles. 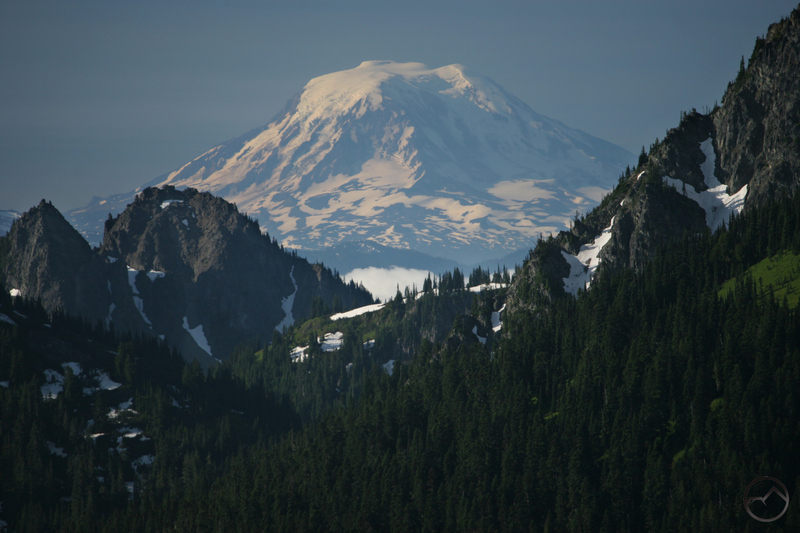 Though greater than Rainier, the two largest and tallest mountains in the Cascades are quite comparable. 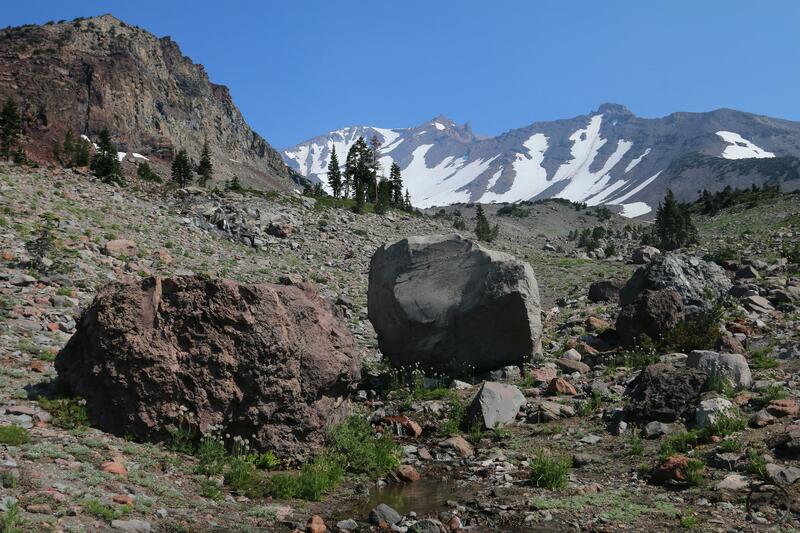 Even though the alpine area does not appear as large from some perspectives, Mount Shasta’s timberline region is still substantial. Perhaps it is the lack of glaciers on some quarters of this area that tends to understate the immense size of the treeless parts of the mountain. 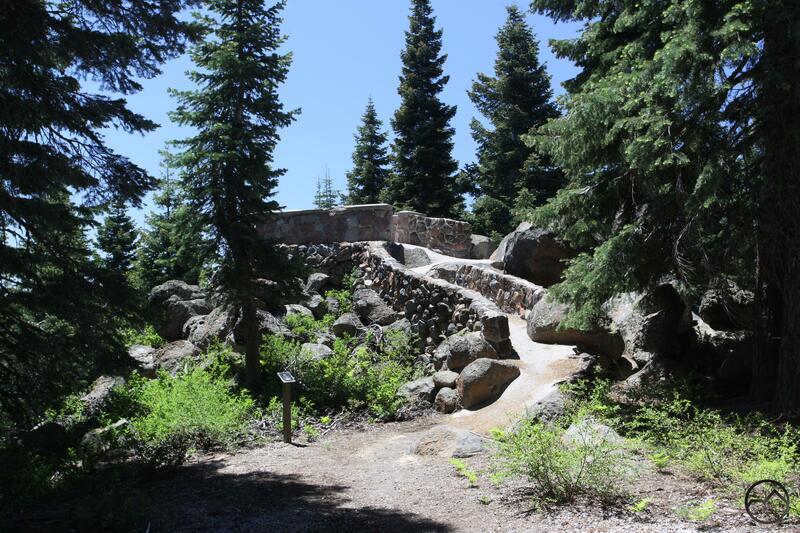 The next time you drive up onto Mount Shasta, as you approach the second hairpin turn on the Everitt Memorial Highway and as you pass the vista point, imagine if that area was at the treeline. The mountain would look radically different from how it appears now. 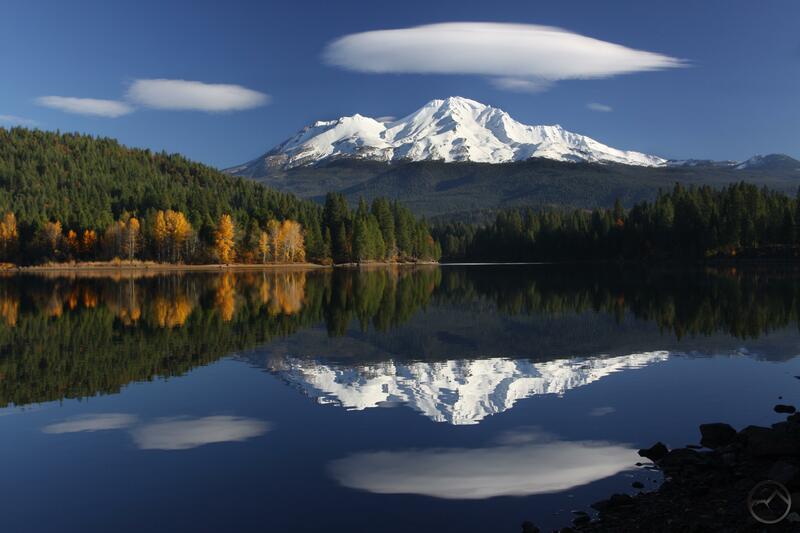 Thankfully it is not different and we can love Mount Shasta for all of its great size and its densely forested flanks. More alpine area would be nice in some ways but there is already so much of that area that is seldom explored and the mountain would feel…less without its great groves of ancient Shasta red fir. Likewise, the other volcanoes of the Cascades offer up their unique combination of features and we are given great riches of so many diverse and beautiful peaks. Mount Shasta may be the biggest and among the tallest, but it is still one of many in a collection of exceptional volcanoes.